A QUARTER century after being famously excluded from the cult favourite video game NBA Jam, Michael Jordan is investing in esports. Jordan is reportedly leading an investment group that's stuck $37 million into the project. 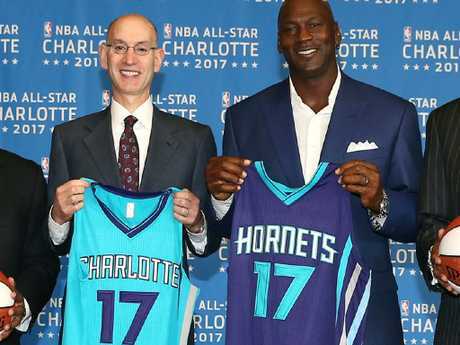 Charlotte can’t win games, but they’re still worth squillions. 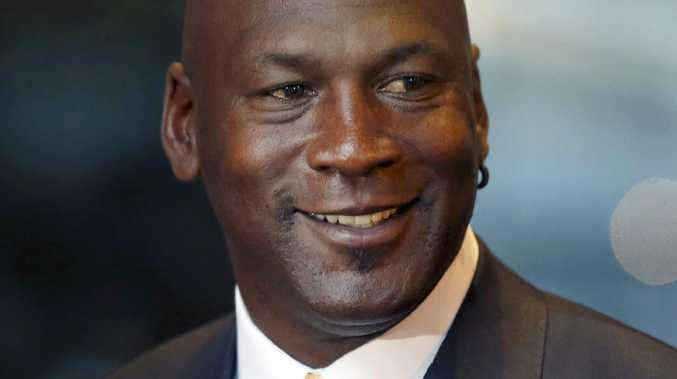 Jordan's personal fortune was recently valued at $2.3 billion, according to Forbes. Jordan's biggest windfall has been the soaring popularity of his Jordan brand apparel and shoes. His NBA franchise has also grown almost 300 per cent since he first purchased a 90 per cent stake in the team also. Even excluding his investment portfolio and business ventures, Jordan is widely considered to be the highest earning athlete of all time - with sponsorships and player salary contracts worth up to $US1.85 billion across his 15 seasons in the NBA. It's not hard to see why Jordan remains one of the most popular athletes around the world, despite his retirement in 2003. One fan took his devotion to a scary new level this month by getting the iconic basketballer's full Chicago Bulls jersey tattooed on his back. The New York Post reports the fleshy rendering looks scarily real, perfectly capturing the slouch of the fabric, the pinprick holes in the performance fabric and Jordan's famous signature, scrawled onto the number 23. The giant piece appears to have been completed in one day at a shop called Family Tattoo in Santo Domingo Este, requiring the talents of a full team. In addition to an artist named Maximiliano, the post tags an artist named José Manuel Yegres of Chema Tattoo, as well as another shop called Ache Tattoo. The superfan, who goes by @Kon3Viga on Instagram, posted the first picture of his fresh ink on Sunday. A follow-up photo snapped in the middle of the tattooing process shows the sports-fanatic customer lying on his stomach with three artists inking his back. A caption reads "dios mio" ("my God"). @Kon3Viga did not immediately respond to a request for comment. It's no surprise he chose Jordan's jersey to mark his body. The legendary player, a six-time NBA champ and two-time Olympic gold medallist, is widely regarded as one of the greatest athletes of all time. Jordan's hoops career spanned decades, with stints on both the Chicago Bulls and Washington Wizards.